Hampshire’s Exton Park estate will unveil what it claims is England’s first 100% Pinot Meunier rosé at London Wine Fair next week. Described as a “new departure” for Exton Park and its winemaker, Corinne Seely, the wine is a blend of the 55-acre estate’s older Pinot Meunier plots, the first of which were planted in 2003. The Exton Park Pinot Meunier Rose is made entirely from grapes from the 2014 vintage – described by Exton Park as an “exceptional year” – although the wine is not labelled as a vintage wine. Seely vinified each Pinot Meunier plot separately to provide a broad range of wines to create the final cuvée. The wine spent 12 months on the lees and was disgorged earlier this year – ready for its first appearance in May. The Exton Park Pinot Meunier Rose is described as “very fresh and stylish, with rich ripe fruit”, and complements Exton Park’s Exton Park Rose NV, made from a blend of 70% Pinot Noir and 30% Pinot Meunier, and the Meunier-dominant Exton Park Rosé Vintage 2011. Established in 2003, Exton Park was bought by local businessman Malcolm Isaac in 2009. Initially all grapes form the estate were sold to nearby sparkling wine producer Coates and Seely. Corinne Seely joined Exton Park as head winemaker in 2011, overseeing the building of a state-of the-art winery – including a Bucher nitrogen press – and establishing a system of vinifying all vineyard parcels separately and keeping back a store of reserve wine each year. Exton Park currently produces around 50-60,000 bottles per year, while Seely seeks to retain around 30% of the wine the estate produces as reserve. Seely describes the new Exton Park Pinot Meunier Rose as having “a radiant pink, almost coral, colour… with notes of early jasmine and honeysuckle on the nose. The winemaker adds that although the wine has just 6.5g/l of residual sugar – it is still “surprisingly full in the mouth, displaying a gingerbread spicyness, and a fruity white peach finish”. 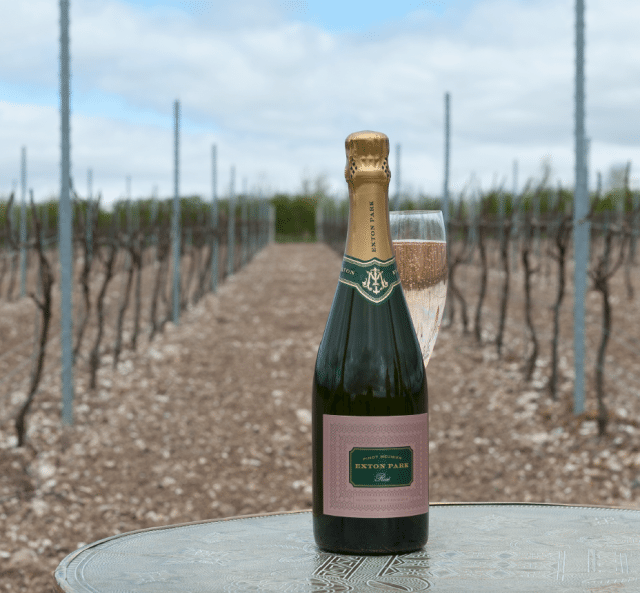 Exton Park’s 100% Pinot Meunier Rose sparkling wine will be launched at the English Wine Producers’ stand T34 in the Grand Hall at the London Wine Fair.